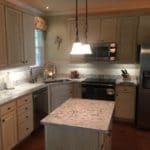 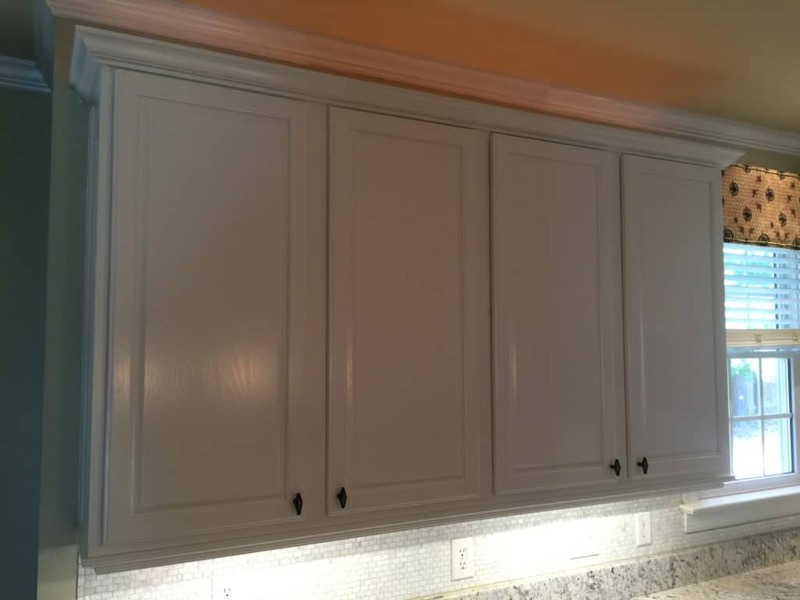 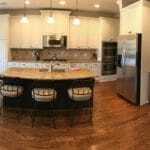 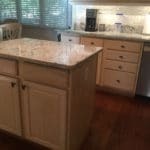 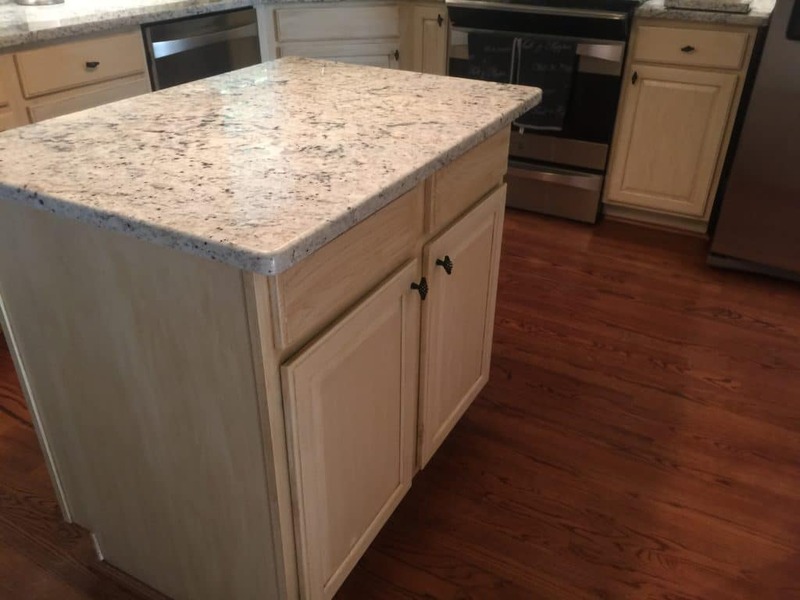 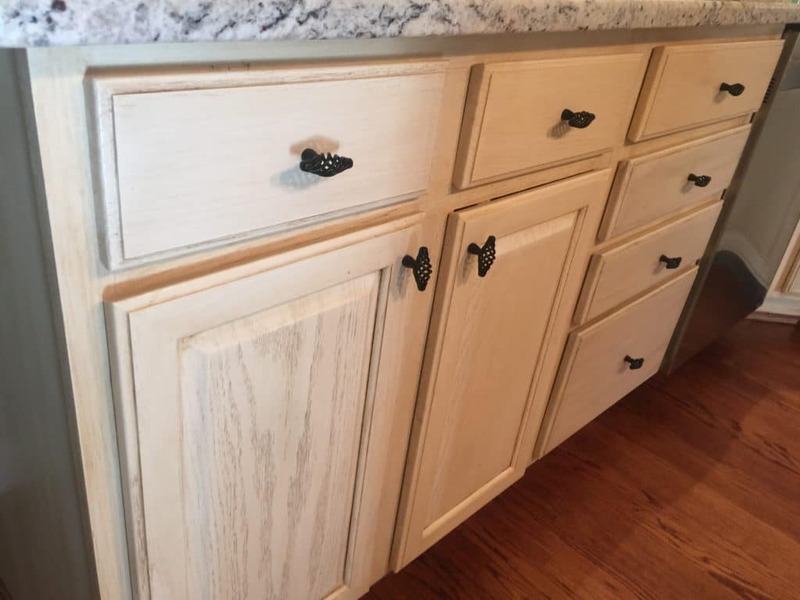 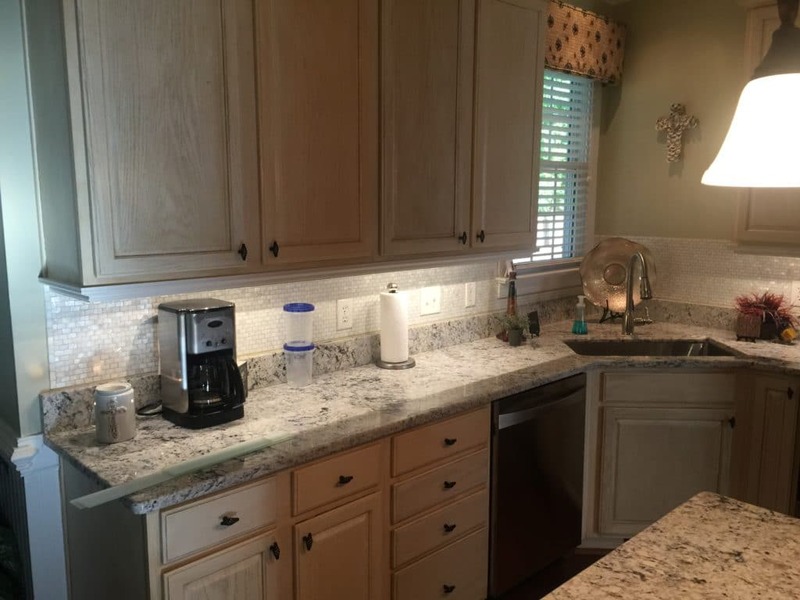 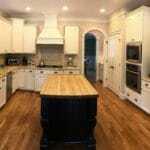 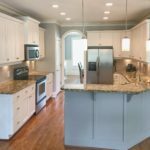 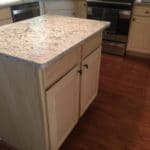 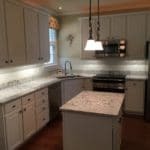 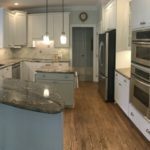 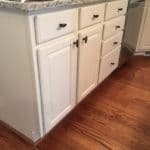 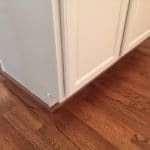 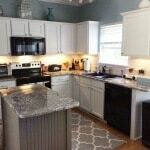 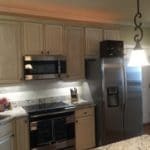 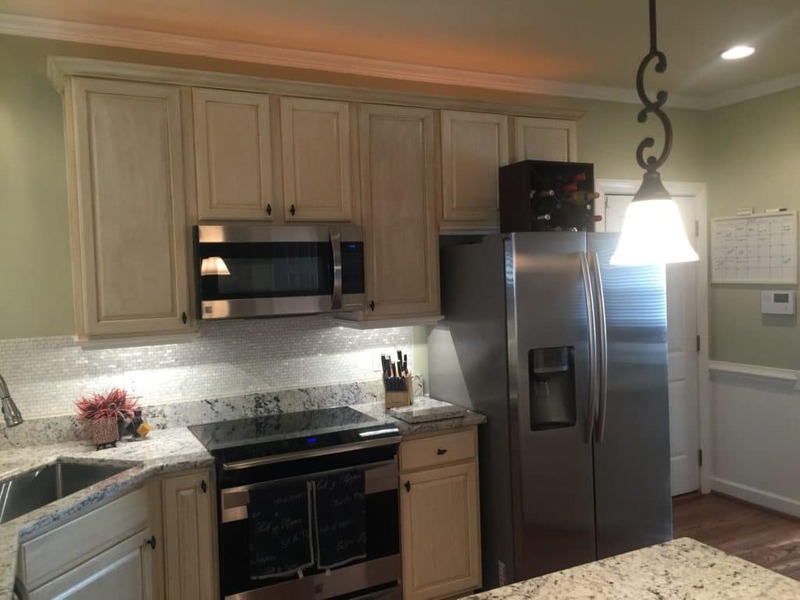 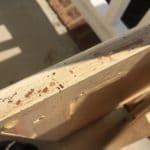 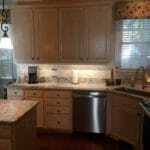 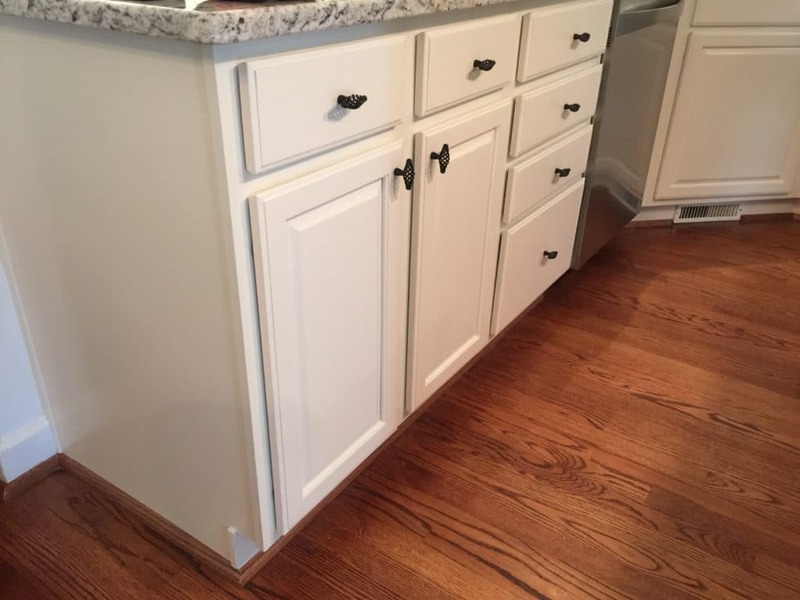 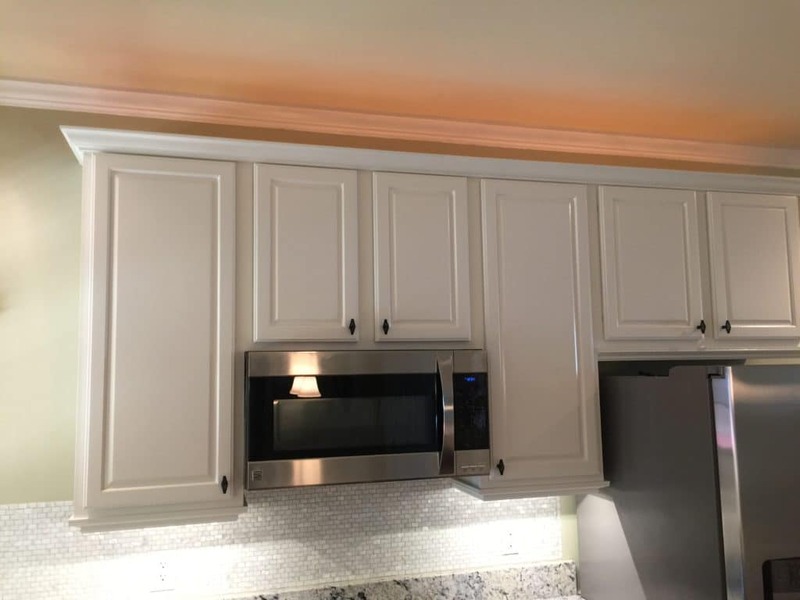 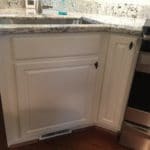 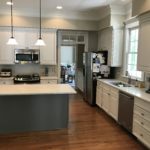 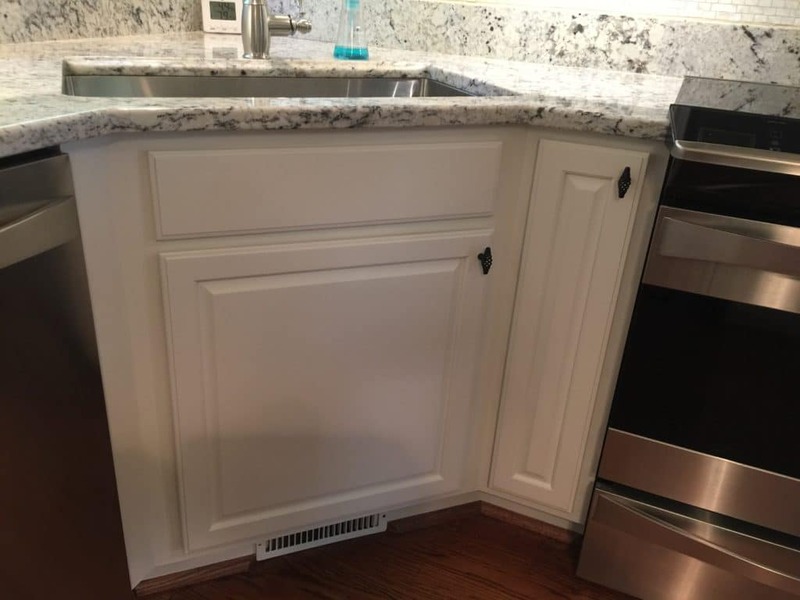 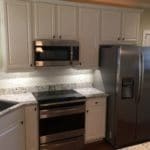 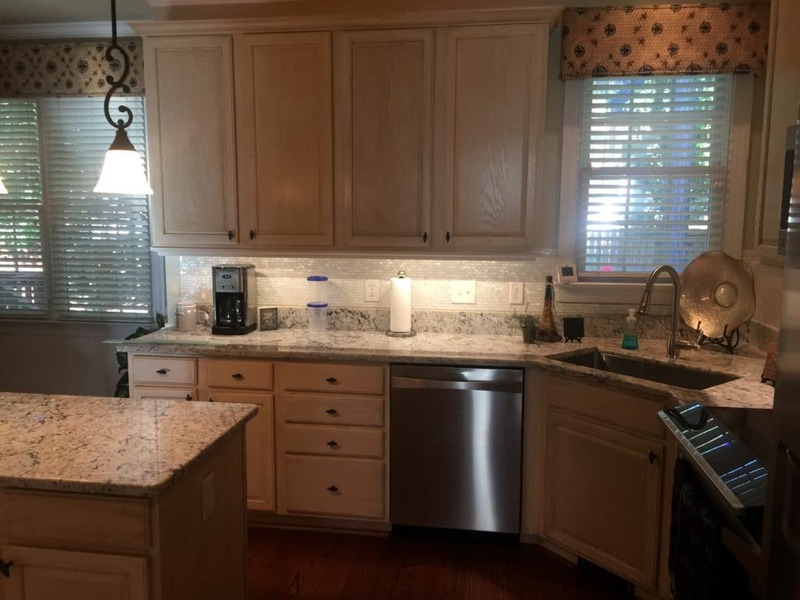 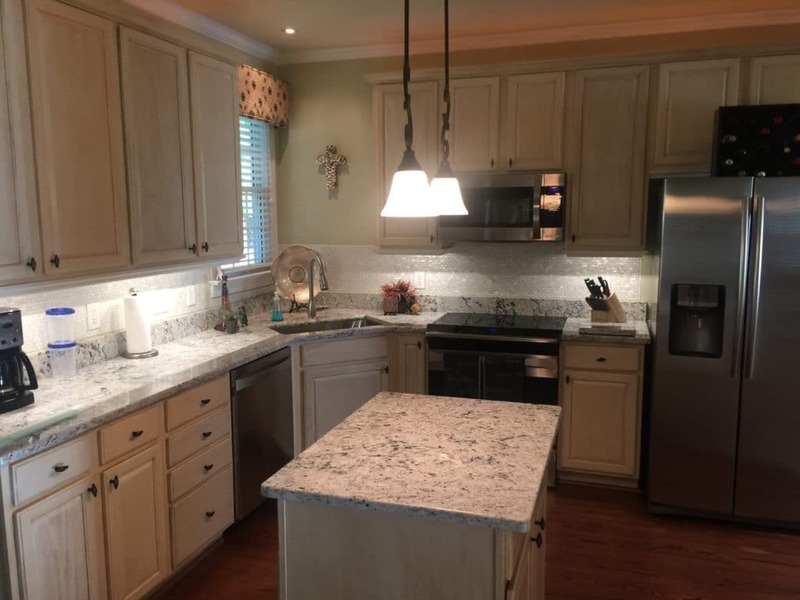 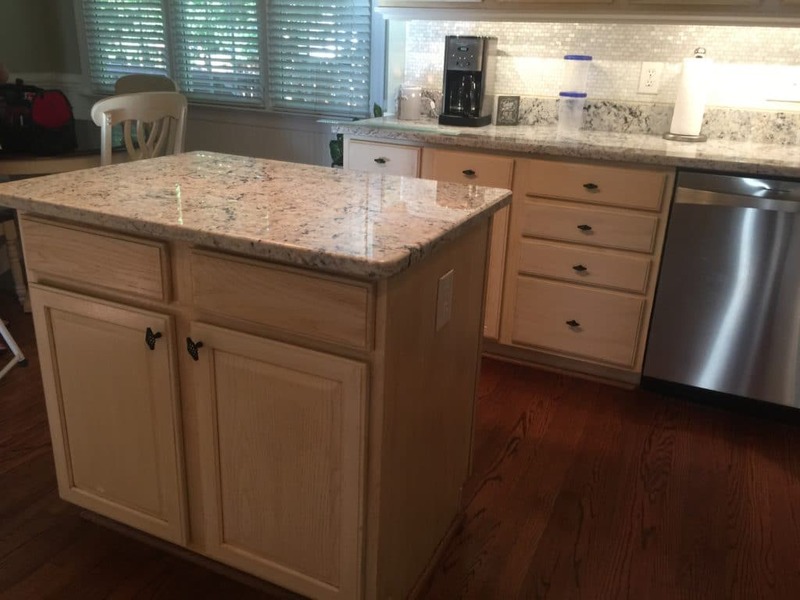 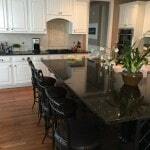 This oak kitchen had been updated with Rustoleum’s Cabinet Transformation and it sadly, wasn’t holding up as well as had been expected. 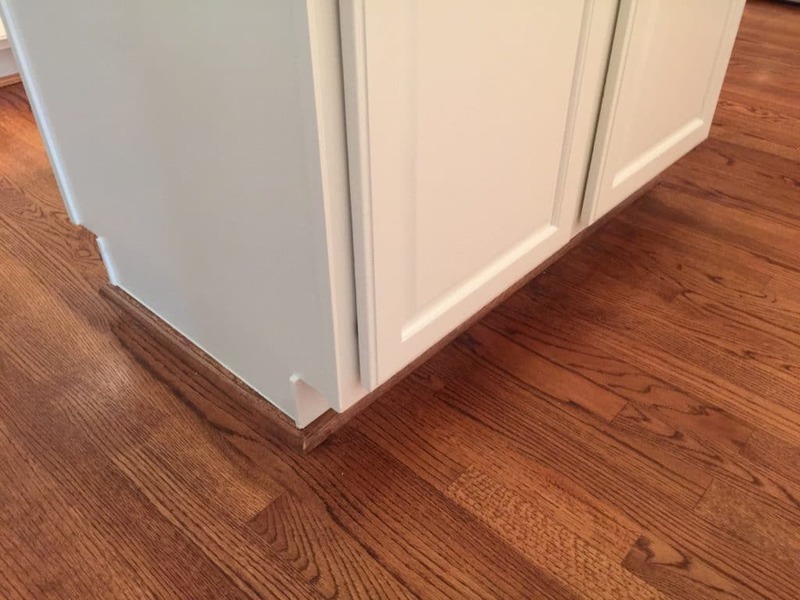 That’s where we came in. 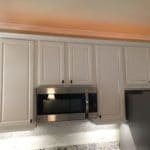 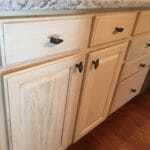 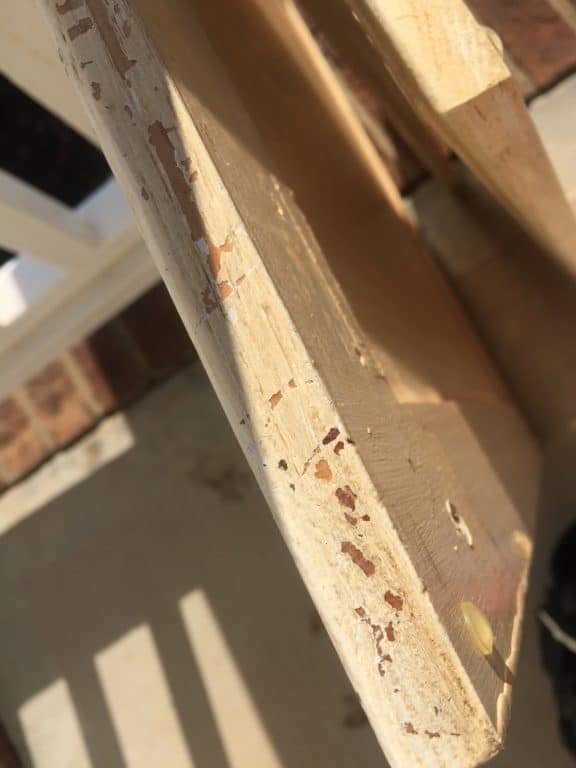 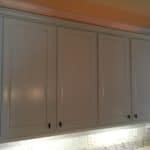 We cleaned up all the chips and drips, smoothed everything out, and repainted them in Benjamin Moore White Dove, OC-17. 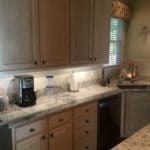 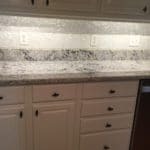 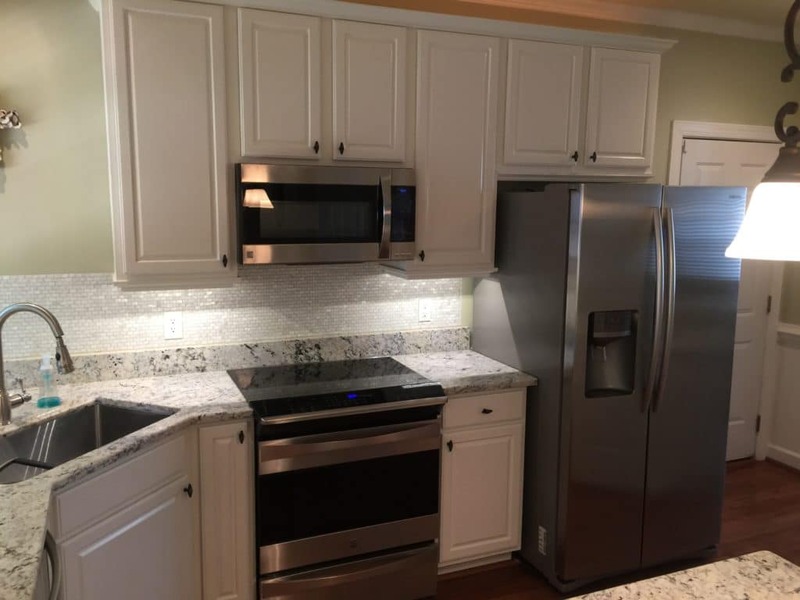 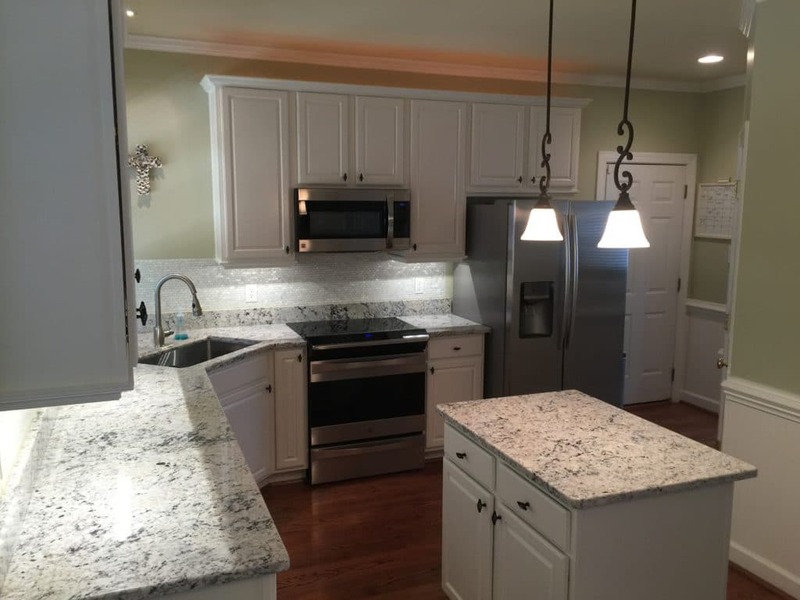 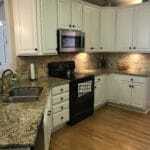 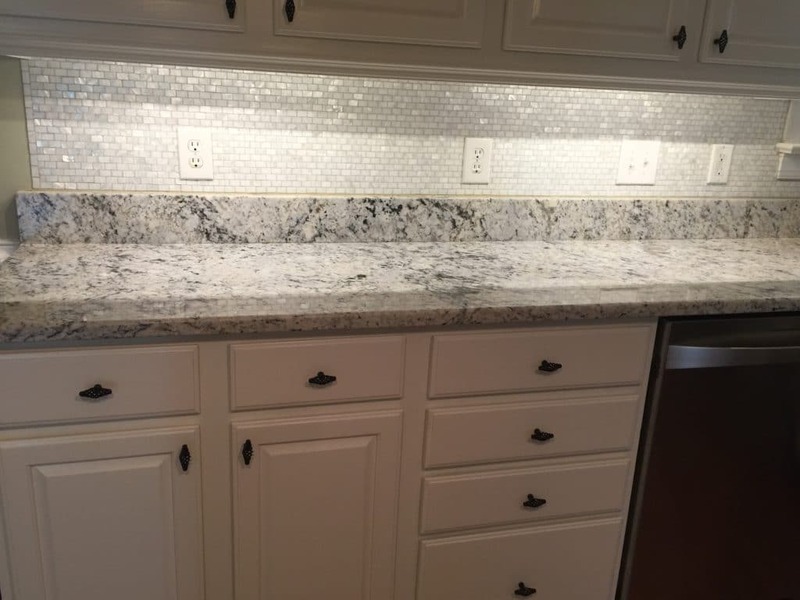 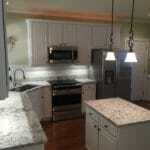 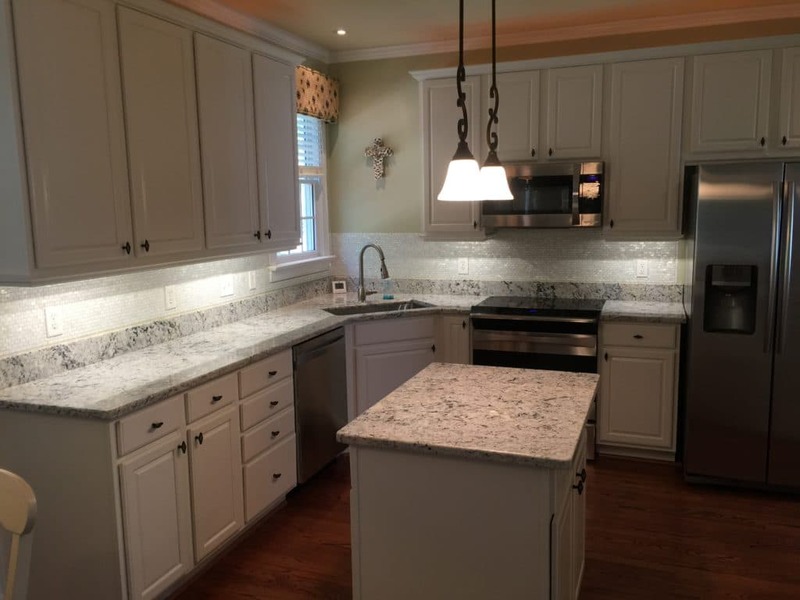 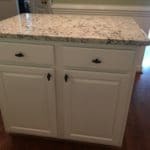 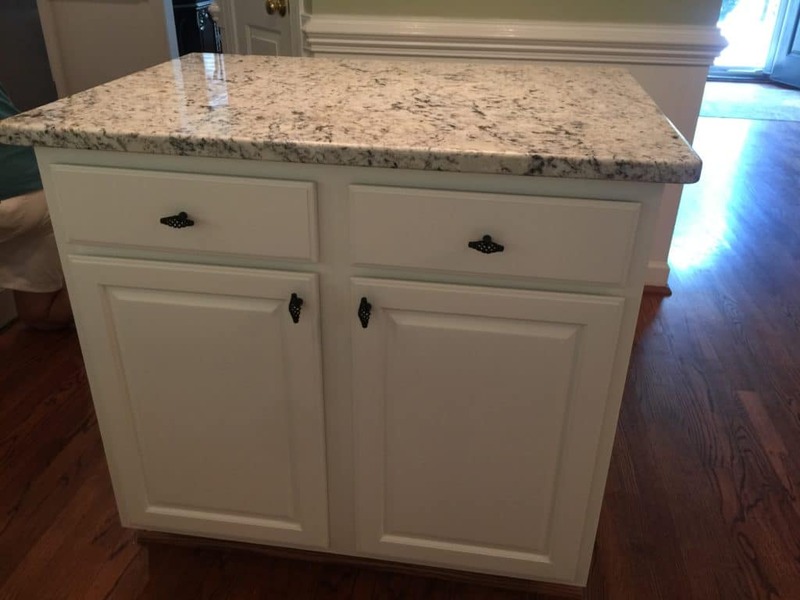 It’s a warm white, that perfectly matches the marble backsplash and gorgeous granite. 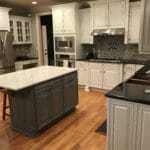 Now the look is seamless, and new!